Every year the biggest crowning achievement for St. Patricks Day is Pittsburgh’s Miss Smiling Irish Eyes. This year's Queen is Maggie Byrnes of South Park. Maggie Byrnes is a senior at South Park High School. Maggie Byrnes is also an Honor Roll Student with AP and honors classes with a 3.9 GPA. Miss Smiling Irish Eyes is accompanied by two Court Maidens. For 2019, the two Court Maidens are Erin Joyce from Crafton and Anne Garvey from Mt. Lebanon. Erin Joyce is a student at Waynesburg University studying Political Science. Anne Garvey is a student at Duquesne University where is will graduate with a BA in Elementary Education. 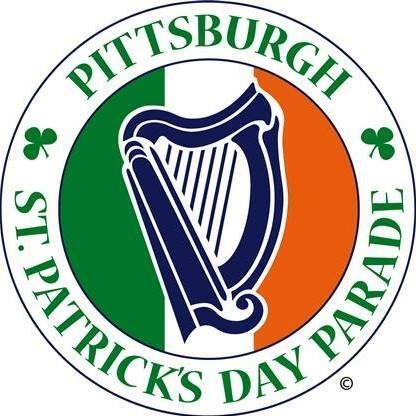 On Saturday, March 16th the second biggest St. Patricks Day Parade comes to downtown Pittsburgh beginning at 10AM. The route begins at the Greyhound Bus station, then proceed down Grant Street, turn right on Blvd of the Allies and proceed to the stage at Stanwix Street. The parade will include 18 marching bands, 200 marching units, and over 220,000 participants. Floats and cars will highlight Irish heritage and other ethnic heritages here in Pittsburgh. The Grand Marshall for the parade this year is Mike Gallagher. On Saturday, March 16th from 10 AM to 1 PM Market Square will transform into a festival for St. Patricks Day. Festivities will include face painting and Buskers will also be in Market Square for entertainment. The Pittsburgh Brewing Company recently restored horse-drawn wagon will be available for photos. On Stage will be The Low Kings and Irish dance performances from Shovlin Academy of Irish Dance. Join in the fun this weekend as Downtown Pittsburgh turns Irish for St. Patricks Day 2019.